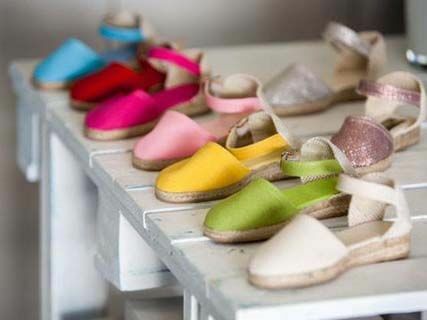 Located in privileged surroundings as the Sierra de Tramuntana, S'Espardenya is a shop where you'll find a special charm sandals for the whole family, from the most traditional to the most sophisticated and original. Product 100% made in Spain. I was surprised with shoes summer next year I will buy another color. Sehr komfortabel und guter Preis in Deutschland kann ich nicht mich in dieser sehr kalt. Me encantó la tienda, la dependienta y el sofá, así da gusto. die besten typischen Mallorca Schuhe und sehr komfortabel.